Lauren is a professional actor and has worked in theatres throughout Boston, New Orleans, New York, and Central Virginia. Also an established singer, she has performed in many venues of note including the East Room of the White House. Specializing in arts integration, her research focuses on how we can use theatrical art forms to teach multidisciplinary subjects including history, science, and public speaking. 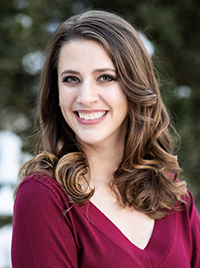 Lauren received her MFA in Acting from The University of Virginia, and she holds a BFA in Musical Theatre and a BA in Classics from Tulane University. She has also studied at the CAP21 Conservatory at New York University and at the British American Drama Academy at the University of Oxford.